Have you ever exited out your garage but the door wouldn’t open or shut and appears to be stuck? This is a common problem which can have a number of sources. When a garage door won’t open or close it can leave a person stranded at home until the problem is fixed. 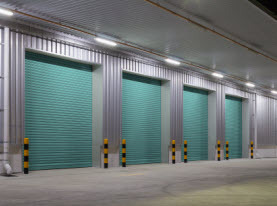 AAA Action Garage Doors will help you troubleshoot the reason a garage door can get stuck and a few tricks to get the garage door moving again until it can be properly serviced by a garage door technician. 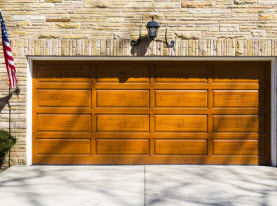 When a garage door fails to operate when using your garage door remote it may be due to dead batteries. Often it can be the simplest of reasons why something won’t work. In most cases when a garage door won’t open or close when using a remote is because the remote’s batteries need to be replaced. To make sure it is not the remote, manually open or close the garage door. If the garage door activates then replace the batteries. If that doesn’t work then further troubleshooting is needed. If the remote isn’t the problem then inspect the garage door tracks. The tracks can get bent or they can shift out of place or even rust. Occasionally there may even be an obstruction caught in the track. 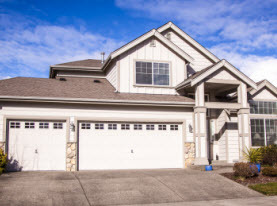 When there is a problem with the tracks, often the garage door will partially move up or down then either retract or freeze. If there is a problem with the track first check for obstructions, bends in the tracks, or rust. If the tracks don’t have any of these problems, step back and see if the tracks look off set. If the tracks do look off set, this will require the aid of a professional garage door technician. If you can’t determine if there is a problem with the tracks, try spraying WD40 on the track and see if lubricating the tracks help. If there isn’t a problem with the tracks and the door is still not working, then it could be a problem with the garage door’s photo eye sensor. These sensors are part of the garage door safety system. If there is an obstruction in the view of the sensors or if the sensors are not aligned, the garage door will not open or close. See if there are is anything blocking the sensors. They are located on each side of the door near the ground. The sensors may need to be realigned which also takes a garage door technician. If there is a problem with the sensor, the door won’t open at all or close or begin to close and retract. If the garage door doesn’t move at all, or show any attempts of activation, then it could be due to power failure. Check the garage door circuit and see if the breaker has tripped. This occasionally happens and all that need to remedy the problem is by resetting the breaker. If that doesn’t work then seek the aid of a garage door technician. 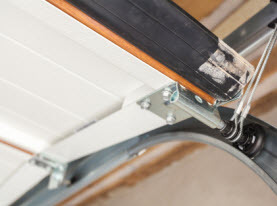 You garage door opener may be dead and needs to be replaced. If you need help getting your garage door unstuck or you want your garage door inspected, repaired, or installed, contact AAA Action Garage Doors. We provide quality garage door services. Contact AAA Action Garage Doors and schedule our services today.